Antibes is an old fortified town with cobbled streets, a wonderful Provencal market and Port Vauban, one of Europe’s biggest harbours and home to some of the world’s largest private yachts. At the entrance to the harbour is the 16th century Fort Carré, where Napoleon Bonaparte was once imprisoned. The quaint stone paved streets and alleys are crammed with an endless variety of shops, restaurants and cafes. For those seeking tradition, or maybe just some fresh fruit and vegetables, the Marché Provençal (covered market) is held every morning in Cours Massena. The Picasso Museum is perched on the edge of the ramparts next to the old town, it houses one of the largest collections of the artist, as well as his studio where he worked during his stay in 1946. In between Juan-les-Pins and Antibes is the breathtaking rocky outcrop known as Cap d'Antibes, a millionaire’s playground, boasting the most expensive real estate in the region, with its beachside restaurants to enjoy throughout the summer. It is not uncommon for Hollywood celebrities to be spotted dining or relaxing in this secluded,and tree-lined Cap. Juan-les-Pins compliments Antibes perfectly, with its fascinating selection of boutiques, chic restaurants and nightlife and also sandy beaches where you can work on your tan, lunch and drink cocktails as the sun goes down. 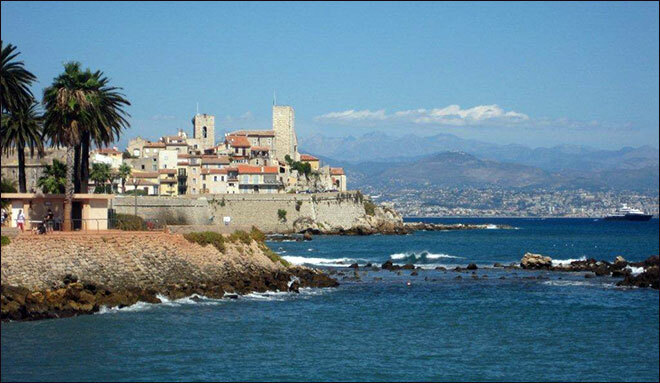 Antibes railway station is 1/2 km from our apartment and offers access to Nice, Cannes, Monaco and Italy. A local bus stops outside the apartment building and provides access into town. The City of culture, tourism and history, Antibes Juan-les-Pins has something for everyone. It stages many prestigious international events, mainly during the summer months. There's not much in the way of traditional cultural festivals in Antibes; most of the festivals focus on music and contemporary activities. Jazz à Juan remains one of the top jazz festivals in the world. Since its inception in 1960, it has attracted many famous Jazz artists each year to play outdoors (July). The Antique Show of Antibes attracts thousands of collectors for two weeks in April. It's one of the largest shows of its kind in France (April). Voiles d’Antibes is one of the world's biggest gatherings of old teak and brass sailing vessels. They converge on the port for one of the most regal regattas in the Mediterranean (June). The Festival of Saint Peter is the annual celebration of the patron saint of fishermen. A colourful procession through the town is followed by all the local fishermen adorning their boats and floating along the coast (June). The Festival of Sacred Music takes place in Antibes Cathedral, which has renowned acoustics. Sacred music is the theme of this popular festival, which attracts huge crowds each year (January). The Cannes Film Festival founded in 1946, is one of the world's oldest and most prestigious film festivals. The private festival is held annually (usually in the month of May) at the Palais des Festivals et des Congres. The Monaco Grand Prix is held each year on the Circuit de Monaco. Run since 1929, it is widely considered to be one of the most important and prestigious automobile races in the world alongside the Indianapolis 500 and the 24 Hours of Le Mans (with which it forms the Triple Crown of Motorsport). 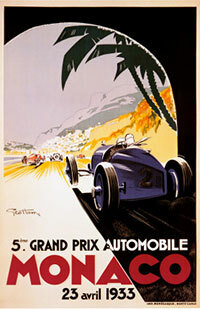 The history, spectacle and glamour result in the race being considered "the jewel of the Formula One crown". 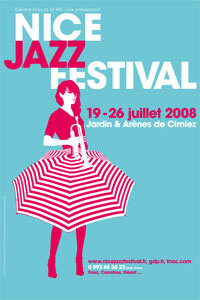 The Nice Jazz Festival, held annually since 1948,was the first jazz festival of international significance. At the inaugural festival, Louis Armstrong and his All Stars were the headliners, with a prestigious international line-up; it remains one of the Riviera’s biggest annual events. Set in the vast Jardins de Cimiez (which contains a Roman amphitheatre), the event features several separate stages where groups perform simultaneously each evening, for eight days in July.